Until now, I’ve been washing my crystal by hand, because I assumed that hand-washing would be the safest way. Unfortunately, I must have heavy hands! I’ve broken so many glasses “trying to be careful” that my own mom told me I should just put them in the dishwasher instead. And you know what? She might just be on to something! 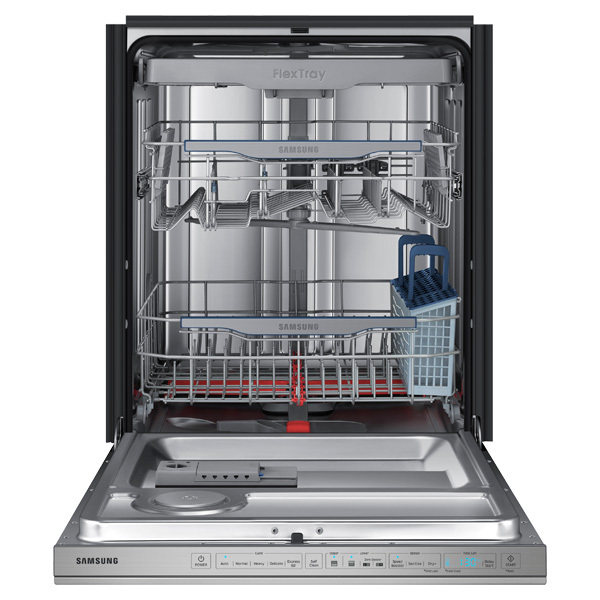 The new Samsung Top Control Chef Collection Dishwasher with WaterWall™ Technology features a portable Flex Glass Rack that is designed specifically to wash your stemware easier and safer than hand-washing. Fewer broken glasses means you can use them on a regular basis without worry! In addition to cleaning your stemware in the dishwasher, Samsung’s WaterWall™ Technology helps to get all of your dishes, pots, pans, and silverware sparkling clean. 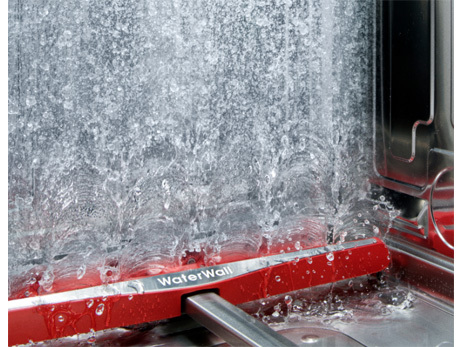 An innovative, sweeping wall of water is powerful enough to get rid of that caked on grime, yet gentle enough so you can wash worry-free. Even better, the Samsung WaterWall™ dishwasher is whisper quiet! So quiet you might even think that you forgot to turn it on! In my opinion, the best part about being able to wash your best stemware in the dishwasher is that now you can use your favorite glasses more often! I used to spend a lot of extra time carefully (or so I thought!) 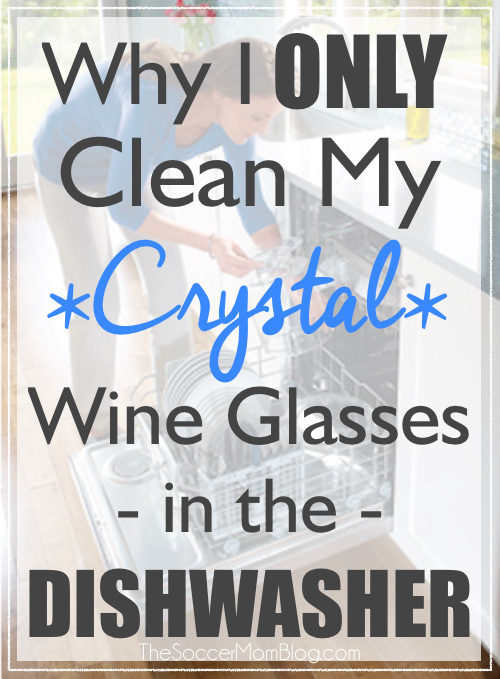 hand-washing my crystal wine glasses in attempt not to break them. Half the time I ended up breaking them anyway! It made me so nervous that I just kept them put away. Not anymore! 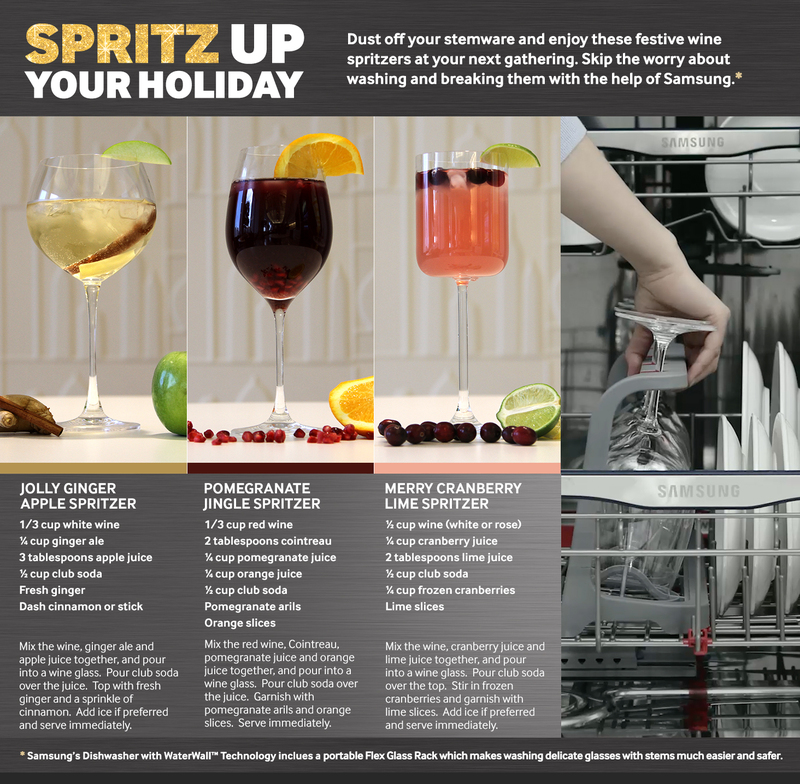 Looking at these recipes got me in a creative mood, so I whipped up a festive spritzer recipe of my own! 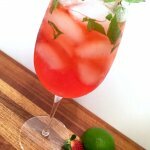 This Basil Strawberry Sauvignon Sprtizer is everything at holiday time! Chop basil into thin strips and toss a pinch into the bottom of a wine glass. Fill 1/3 of glass with Sauvignon Blanc. Garnish with a fresh lime twist and sliced strawberries.